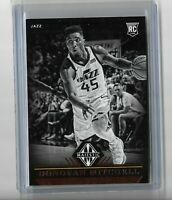 Donovan Mitchell 2017-18 Panini Vanguard Rookie RC Patch Auto 59/99 Jazz ! pc_sportscards has no other items for sale. 2017-18 Hoops DONOVAN MITCHELL #263 Platinum Teal Blue Parallel Rookie Card RC! !